Image Size: 26 X 15.5 in. Image Size: 35 X 21 in. Image Size: 47 X 28 in. 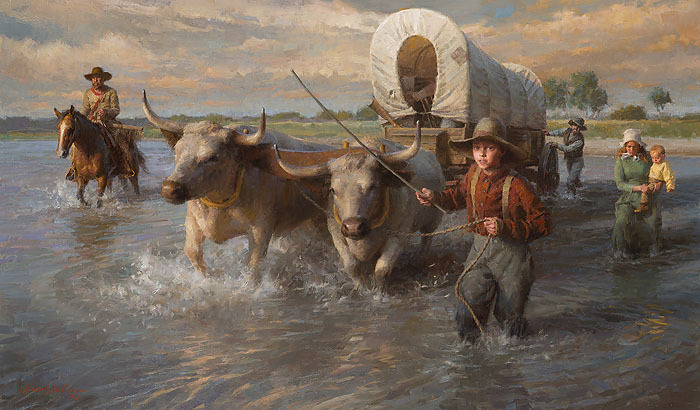 Is it a source of pride for you that your ancestors braved the uncertainties and perils of the trails westward to achieve freedom and prosperity for themselves and future generations?